Come take a look at all of the different stringing materials we carry. We carry a variety of chains, threads, lace and more. 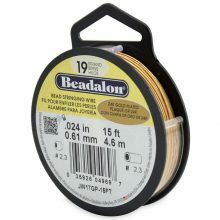 Our selection includes sterling silver, silver plated, gold and gold plated chains. 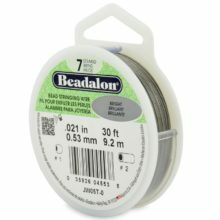 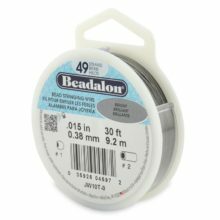 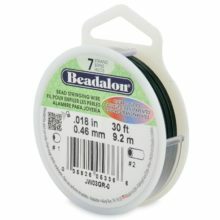 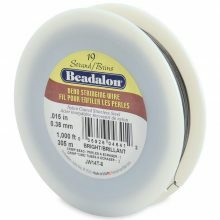 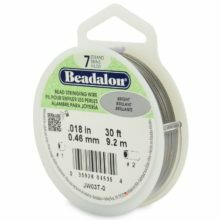 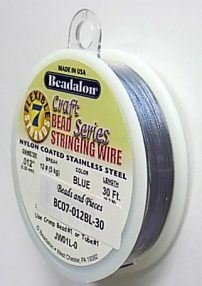 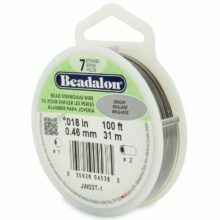 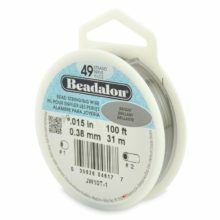 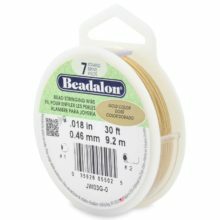 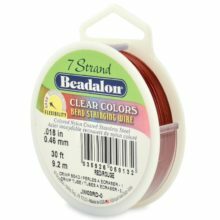 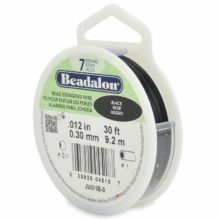 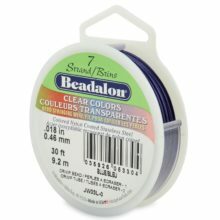 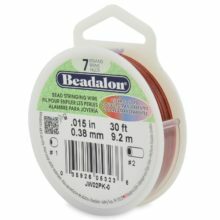 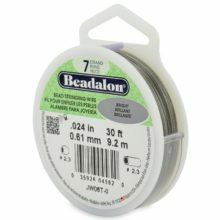 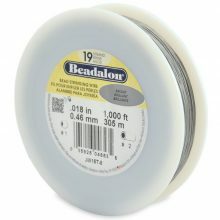 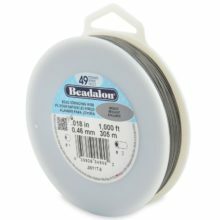 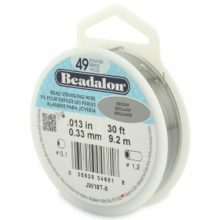 We also have Beadalon wire in many colors and sizes. Our silk thread works well with the elegant natural beads that we carry, and the lace and ribbon creates a more unique design. 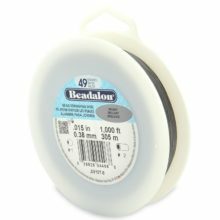 Make a statement with a large selection to choose from.